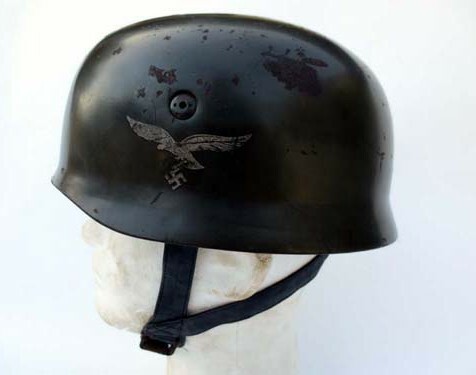 Early war FJ helmets were often painted apple green, as seen here. Note the aluminum liner frame, natural sponge pad and sliding friction buckle. 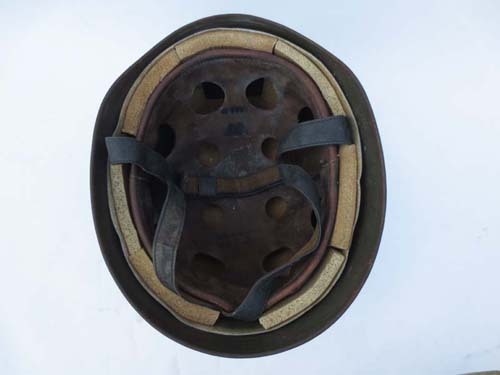 This is the standard jump helmet used between 1938 and 1940.